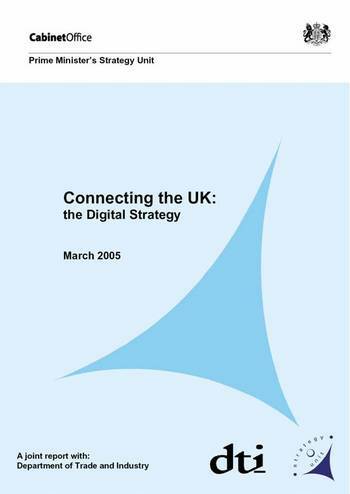 The digital strategy which I flagged a couple of weeks ago has now been published. The proposal most likely to catch the headlines is for a “digital challenge” – an invitation to all local authorities to compete to be a pilot area for pushing community and public services as well as commercially-led activities as a pathfinder for other areas of the country. The final winner will get a £10 million prize, funded jointly by government and industry, to invest in their ideas. b. The strategy is being used to reinvigorate, and slightly redirect, the e-government agenda. Most of the work in this area is on a slightly slower track, around the strategy being developed by Ian Watmore and the e-Government Unit intended for publication in the autumn, but this document emphasises the alignment between this document and the choice agenda and sends some cautious signals about moving towards a “digital switchover” from old channels to new – through stressing that “no-one will be denied access to services because they are delivered electronically”. c. The social inclusion agenda includes a section specifically about internet access for people with disabilities, and reinforces and updates the requirement for government websites and online services to be fully accessible.